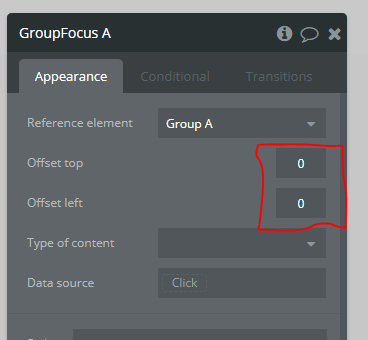 Please can we have the Offset top and left fields of the Group focus as dynamic values instead of the current static ones. If these are dynamic one can do some very interesting and useful stuff with the GroupFocus. It will also be very useful if the Reference element can be an ID Attribute.